If you want to become a sworn-in court interpreter i.e. a sworn-in court translator, you need to meet a few criteria. First of all, you need a lot of working experience, knowledge and patience. If you want to become a sworn-in court interpreter, you need to meet a few criteria. First of all, you need a lot of working experience and patience. When we say patience that includes waiting for the Ministry of Justice to announce the competition and then authorize the individual for performing activities as a sworn-in court interpreter. 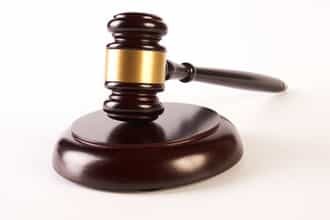 In order for an individual to be authorized by the Ministry of Justice to work as a sworn-in court interpreter, a competition for a certain language must be announced - that may be English language, German language or maybe French language. The Ministry of Justice, i.e. the Minister, sets the criteria in the competition that the applicants for the sworn-in court interpreter have to meet. It depends on many factors, the first being the need for sworn-in court interpreters, based on which a competition i.e. the Ministry’s assessment may be announced. A person wanting to become a sworn-in court interpreter needs to be a Serbian citizen and to have a registered place of residence in Serbia, must have a clear criminal record, a degree of the Faculty of Philology and evidence of at least five years of working experience in translation. Please note that these requirements are not always the same and that they change depending on the need. Back in the days, one could apply to a competition only with his/her letters of recommendation and nowadays one cannot apply without having five years of working experience. A future sworn-in court interpreter does not have to pass any kind of tests for competition purposes, but it is advisable to have a course for completed sworn-in court interpreters that is organized and conducted at the Association of Scientific and Technical Translators of Serbia with headquarters in Belgrade. What is the difference between a sworn-in court interpreter and sworn-in court translator? Essentially, there is no difference. The difference is only in the name. The sworn-in court translator is the new name for a sworn-in court interpreter, while the activity and the method of work remain unchanged. There is a difference between sworn-in court translators and translators. Court translations represent translations that the sworn-in court translator certified with his/her seal and signature and such translations can be executed only by the individuals authorized by the Ministry of Justice. Translators are persons with professional linguistic abilities to translate from mother tongue to a foreign language and vice versa, but they do not have a seal given only to sworn-in court translators. If you need translations and document certification of any kind or non-certified translations, you can contact our Agency. Above all, we can offer you professionalism, short deadlines and data confidentiality, low prices and free delivery of translated texts and documents.